Check it out! 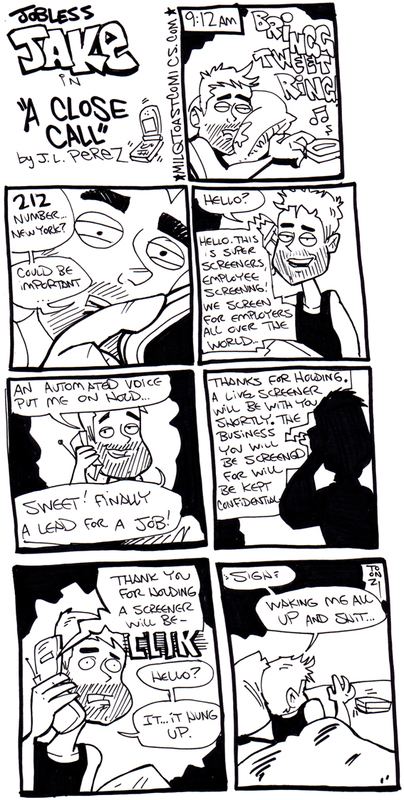 In lieu of me quitting my main gig (this weekend is my last) I've decided to repost my old Jobless Jake mini comics. Basically, I came up with Jake as way to express my situation of being fresh outta college with a Bachelor's degree and nowhere to go. Ya struggle to apply for 'jobs', scour the internet, rummage thru any and all of your contacts, all the while the student loan debt collectors blow up your phone ready to get paid. Being a holder of liberal arts degree I often wondered why I got one in the first place. Struggling to pay off a college debt with a job that you didn't even need a degree to get in the first place will make you regret borrowing all that money. In this economy it's actually a very common situation amongst people getting out of college. And with that in mind I present to you the Adventures of Jobless Jake. 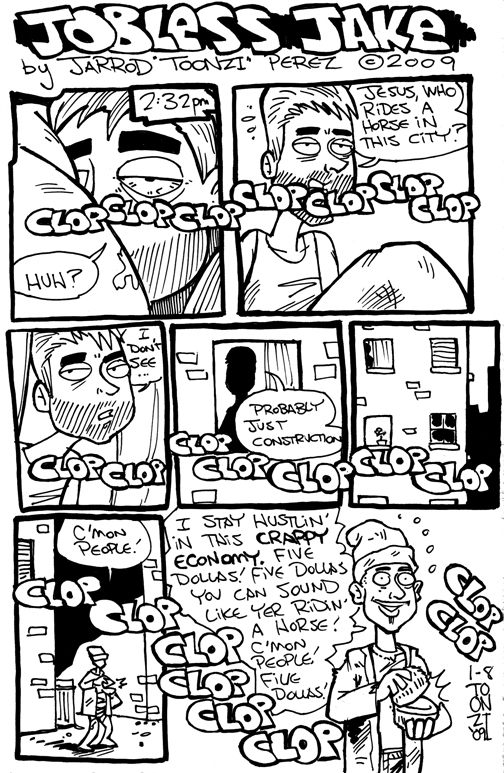 1 - The first Jobless Jake comic I drew. This really happened to me. 2 - The pitfalls of surfing for jobs on CraigsList. 3 - I forget where I got this. I think I really heard a bum chanting this. That's all for now. Stay Tooned!